It’s great to be back. The month-long hiatus was helpful for Levi and me to recharge the batteries and get the creative juices flowing again, but we are back and better than ever. 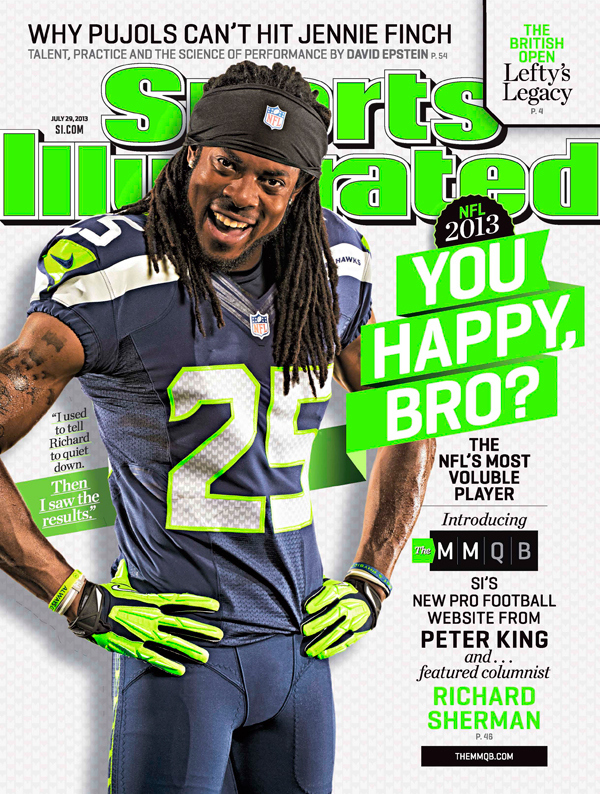 I’ve decided to devote January’s 4th & 10 segments to reviewing the year in sports for 2013. Today’s post will review the 10 most impressive teams in 2013, because narrowing the list to 10 was so difficult I will list some honorable mentions as well. The RedHawks are the only team to make this least for all the wrong reasons, but it somehow seemed wrong not to acknowledge just how bad they were. Miami (OH) won a grand total of zero games in the year 2013. They failed to score more than 17 points in any single game. They were outscored by their opponents 428-116. Better luck next year. Note: Georgia State also went 0-12, but considering this is their first season as an FBS team we’ll give them a free pass. 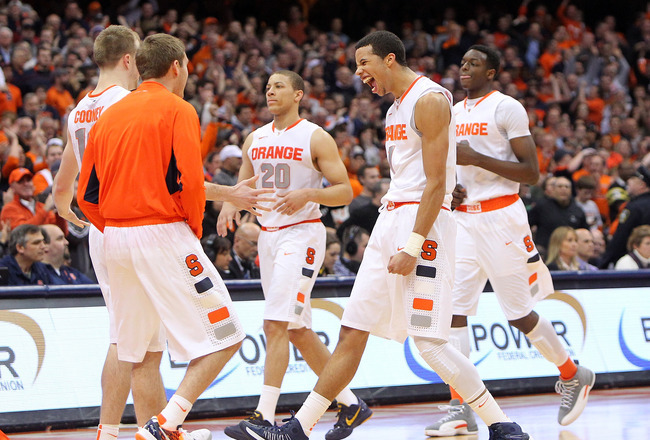 The Syracuse Men’s basketball team started 2013 by being the runner-up in the Big East tournament and making a Final Four appearance, where they lost to Michigan in the semi-finals. They end 2013 with a 14-0 record this season, #2 ranking in the AP poll, and impressive wins over #7 Baylor and #8 Villanova, which was the only loss for either team until Baylor lost to #9 Iowa State last night. Admittedly, this team has a strong argument to be higher on this list, but I docked them a few places because they lost after I picked them to win the World Series. The Cardinals, however, had another excellent season. They tied for the best record in the regular season at 97-65 and won the National League. Another professional sport runner-up, the Spurs lost to the Heat in 7 games in the NBA Finals to end the 2012-2013 season, after winning the Western Conference. They also have the 2nd best record in the Western Conference this season at 27-8. The question is how do these ageless wonders keep getting it done, personally I believe that Manu Ginobili’s bald spot is good luck and the team rubs it before each game. 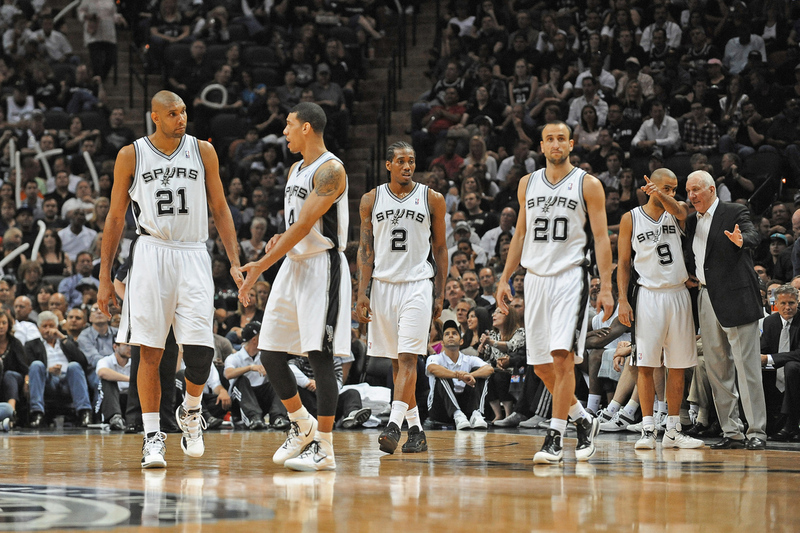 They also have some good young players like Kawhi Leonard and Danny Green to keep the older veterans fresh. This is the only team on this list I got to see live in 2013 at Coleman Coliseum in Tuscaloosa, Al. (Shoutout to Chris Hines a.k.a Coach Hines for the ballin’ seats he managed to secure for us courtside). The Shockers lived up to their nickname in the 2013 Men’s Tournament by going to the Final Four as a #9 seed before losing to eventual champion Louisville. This season they are currently 15-0 and ranked 6th in the AP poll. The Seahawks started off 2013 in disappointing fashion by losing to the Atlanta Falcons in the Divisional Round of the NFL Playoffs, but they have bounced back nicely this season going 13-3 and being the #1 seed in the NFC. Richard Sherman would also like me to remind everyone that Skip Bayless doesn’t know anything and hasn’t done anything and that he is just as smart as Skip Bayless because he went to Stanford. Like the Seahawks, the Broncos also started the year on a bitter note by losing to the Baltimore Ravens, the eventual Super Bowl Champion, in the Divisional Round. However also like the Seahawks, the Broncos have been strong this season going 13-3 and securing the #1 seed in the AFC. Plus, Peyton Manning has had a record year ripping passes through that thin mountain air to his absurdly talented receiving corps. The Florida State Seminoles are the only team on this list to have zero losses in 2013. They started the year by trouncing Northern Illinois in the Orange Bowl, and have now won 13 straight games and the last ever BCS National Championship since then. Their freshman quarterback, Jameis Winston, also became the youngest Heisman trophy winner in NCAA history. The back-to-back defending champions have to be here. LeBron and company have now been in the Finals for three consecutive seasons, and have come away winners in the last two. LeBron is also firmly making his case to be considered one of the greatest to ever play the game. This season they are 27-8 and have the second best record in the Eastern Conference, which is tied for third in the NBA behind Oklahoma City and Indiana. This ranking has as much to do with what their success meant for their city as anything. They were spectacular on the field, posting a 97-65 record and winning the World Series. 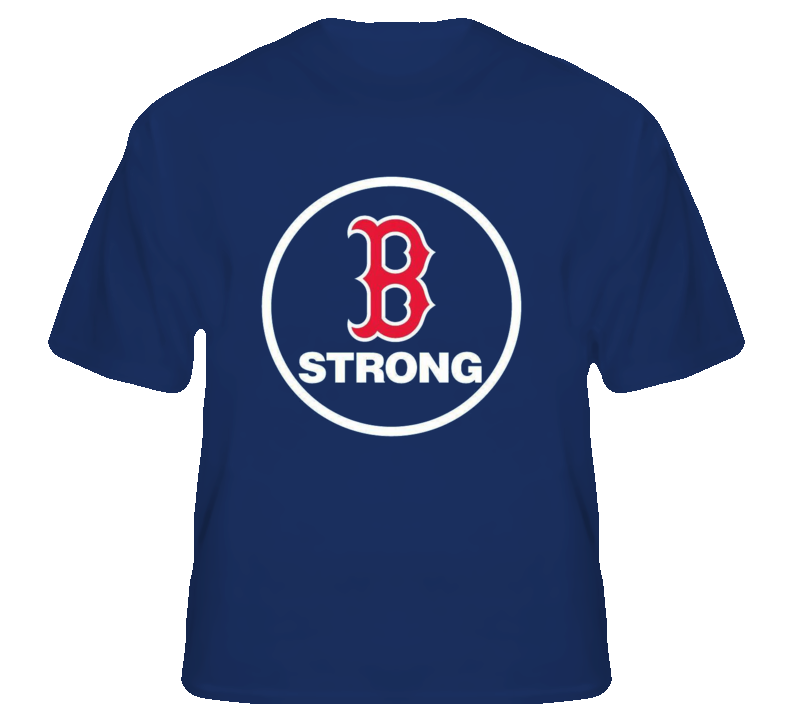 However, the way they helped to unite the city of Boston after the Boston Marathon bombings was perhaps the most important, and most impressive, thing this team did this year. For that reason, they deserve the number one spot on the list of most impressive teams of 2013.